Many people are aware of the all too common hypothyroidism that is becoming a modern-day epidemic. This is where for any number of reasons, there is a low production of active thyroid hormone, leading to weight gain, fatigue, and brain fog. There is a flip side however. Hyperthyroidism is the characterized by an abundance of active thyroid hormone. This article will discuss 12 strategies to treat hyperthyroidism naturally. As the thyroid is considered the master regulator of the metabolism, you might have an intuitive understanding of how hyperthyroidism manifests. Generally, people dealing with this condition feel wired, anxious, and unable to relax. These people will also tend to encounter irregular heartbeats, unwanted weight loss, and insomnia. While thyroid issues were an enigma for some time. We now have a much better understanding of what underlying factors contribute to conditions like hyperthyroidism. While there could be other factors involved, it is becoming apparent that a large majority of hyperthyroidism are caused by some form of autoimmunity and chronic inflammation in the body. In fact, Graves’ disease is the most common diagnoses given to people with this condition. Graves is an autoimmune condition characterized by the production of an antibody called thyroid stimulating immunoglobulin. Typically, the immune system creates antibodies to hunt down and help fight off certain viruses and bacteria. In the case of Graves’ disease, however, these antibodies inflame the thyroid gland and lead to rampant production of thyroid hormones. In the traditional medical model, there are typically 3 approaches for addressing hyperthyroidism (1). Certain medications are used to inhibit thyroid function. These drugs have many side effects and can even lead to hypothyroidism. Radioactive iodine can be used in large doses to essentially poison and deactivate the thyroid. This approach will require that you medicate with synthetic thyroid hormone for the rest of your life. Surgery may be used to physically remove the thyroid gland. This approach will naturally also require a lifetime of synthetic thyroid hormone replacement therapy. 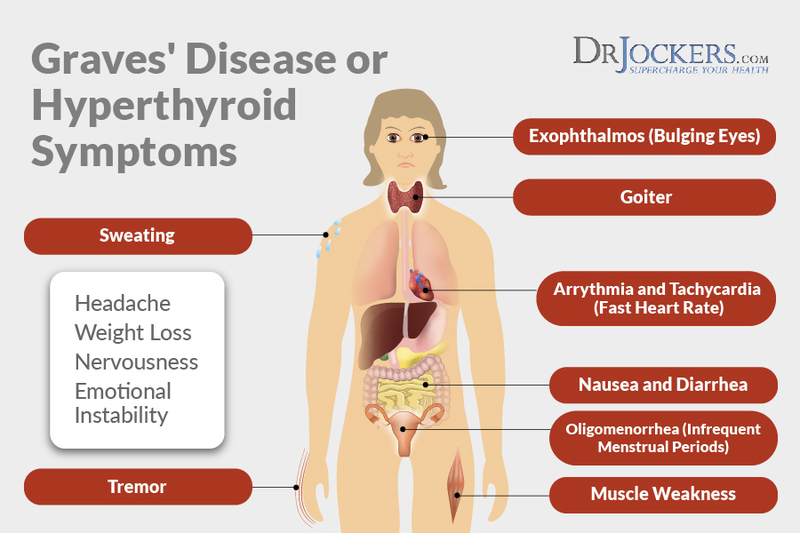 While it is helpful to understand that most cases of hyperthyroidism are caused by autoimmunity, it may be even more important to then understand what the biggest factors causing autoimmunity are. Working with autoimmune cases for many years, there are several underlying factors that seem to always play a significant role. By understanding these things, we can devise a plan to address them. These strategies may also be applied to things like rheumatoid arthritis, Hashimoto’s thyroiditis, and even lupus. 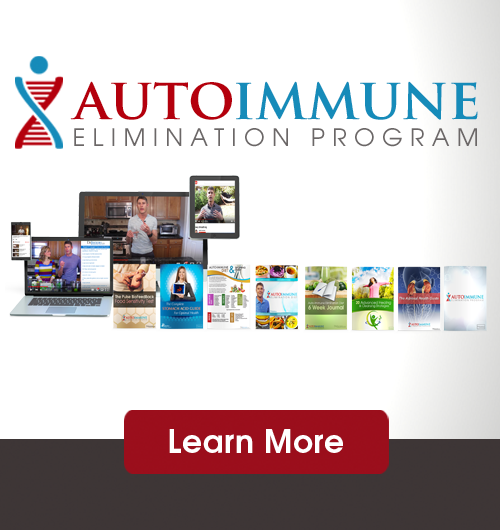 Different aspects of your gut health can have a profound impact on autoimmunity. In fact, often times gut issues are the primary contributing factor. The major players when it comes to gut health are leaky gut, the microbiome, and digestion. Leaky Gut is when the delicate lining of the gut becomes damaged due to chronic inflammation and begins to let undigested food particles pass through. The food particles are foreign to the body and are confused as pathogens. As the body tries to fight off benign food particles, the immune system become hyperactive and puts the body in a state of chronic inflammation. This process can have a profound impact over autoimmune conditions (2). The Microbiome is the diversity of bacteria that live along the walls of our stomach and intestines. These bacteria in our gut have a profound impact over the activity of the immune system and even our brains. Your microbiome can even play an important role in preventing and healing leaky gut (3). 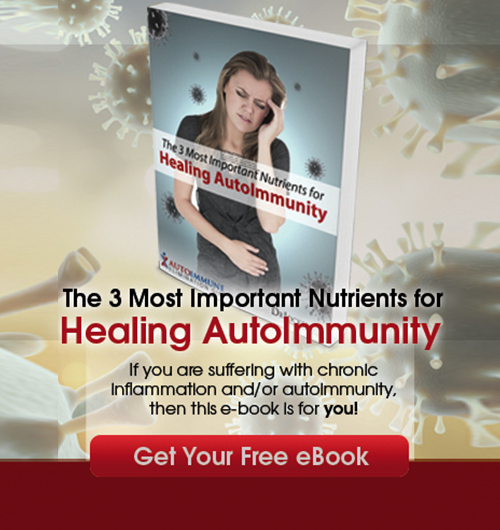 Poor Digestion can be a significant factor contributing to autoimmunity. Not only can poor digestion lead to leaky gut, but it will also open up the doors for opportunistic bacteria and fungi to colonize in the gut, further contributing to chronic inflammation and autoimmunity. Toxins like heavy metals and pesticides serve no biologically relevant role in the human body. They are highly inflammatory and interfere with many physiological processes, contributing to the development of autoimmunity in various forms (4). Heavy Metals (such as mercury) are notorious for accumulating in brain tissues where the master controllers of the thyroid reside. These are the hypothalamus and pituitary glands. Another factor to consider is that mercury has a similar structure to iodine, meaning that it may have a higher affinity for accumulating in the thyroid gland. Other toxins such as pesticides are harmful in they can inflame the gut, alter our gut bacteria, and deplete the body of key nutrients (such as magnesium). The mitochondria are tiny structures within almost every cell in the body. Their role is to produce the energy needed for cells to carry out various processes. One of the byproducts of creating energy is actually oxidative stress. When mitochondria are functioning at a suboptimal level, they tend to generate excess oxidative stress. This oxidative stress contributes to chronic inflammation and further distraction from the normal function of the immune system. To make it even worse, less efficient mitochondria produce less energy which means cells have a harder time carrying out bodily processes and it becomes a downward spiral of inflammatory conditions. Other autoimmune conditions, such as multiple sclerosis, are actually being heavily researched for the involved role of mitochondrial dysfunction (5). Microbes that reside in the body over longer periods of time can become a major contributor to inflammation and autoimmunity. These infections can come in many forms from candida in the gut, to Epstein Barr, or even Lyme disease. Similar to how leaky gut contributes to autoimmunity, these pathogens reside in the body and cause a chronic inflammatory reaction by the immune system. If they cannot be fully addressed, this inflammatory immune response will continue. While there are many potential contributors to autoimmune conditions, it seems like the primary underlying similarity is they all cause some level of chronic inflammation. 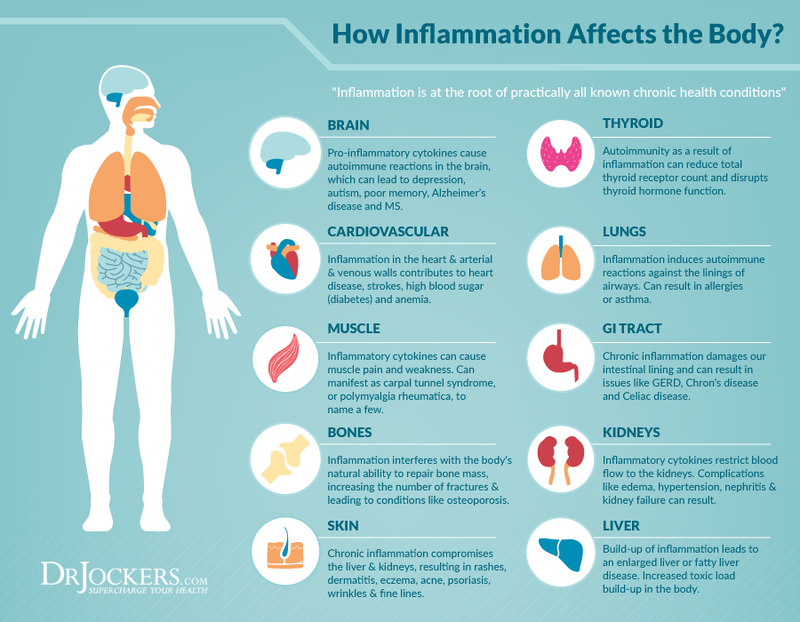 This chronic inflammation interferes with many processes in the body and leads to inappropriate immune system activities (such as inflaming the thyroid). 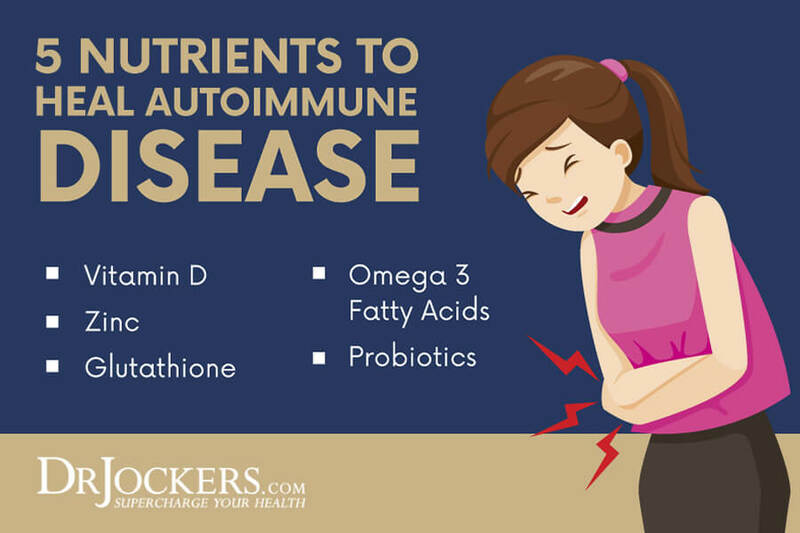 To give your body the best chances of overcoming an autoimmune condition, you must address as many of these areas as possible. Armed with the knowledge of the underlying mechanisms behind hyperthyroidism, it is possible to create a plan to help heal it. Each individual is unique and their hyperthyroidism battle with have its own subtleties but these recommendations will put us all in the right path. As you apply these principles, be observant of which ones seem to make the biggest difference in your hyperthyroidism symptoms. All of these action steps are important but some may make a larger dent in the bucket than others. 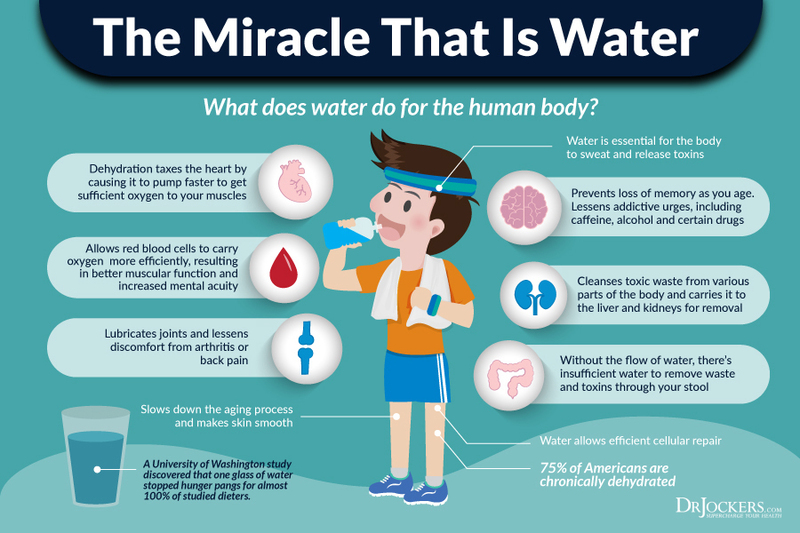 Your cells require water to function. If you are not properly hydrated, every biochemical reaction within your body will be inhibited to some extent. Additionally, if the water you are drinking contains toxins like chlorine, fluoride, and heavy metals; you will be contributing to other inflammatory issues. It is critical that you invest in an effective water filter to remove as many toxins as possible from your water. I would recommend either a reverse osmosis water system or a high-quality passive filter like the Big Berkey. It is also important to add back in trace minerals by adding a natural salt. After clean water, it is important to consume a nutrient-dense diet that promotes blood sugar stability and avoids inflammatory foods. Vitamin D is a critical nutrient that is involved in immune system function, hormone balance, and brain health. Vitamin D is one of the most important nutrients in cases of autoimmunity. Having a proper intake of Vitamin D can help to tame an overactive immune system. For this I usually recommend 1000-2000 IU per 25 lb of bodyweight. To read more about powerful immune modulating nutrients that can help balance the immune system, refer to the graphic below. When it comes to chronic inflammation throughout the body, it is important to pay attention to your fat intake. The ratio of omega 6 fats to omega 3 fats that you consume on a daily basis can either promote or help mitigate inflammation (6). Having a high omega 6 intake relative to omega 3 is generally conducive to higher inflammation levels while a higher omega 3 intake is conducive of the opposite effect. It is absolutely critical to avoid processed vegetable oils and instead opting for more omega 3 fat sources like wild caught fish, flax, chia, walnuts, and even algae like chlorella and spirulina. 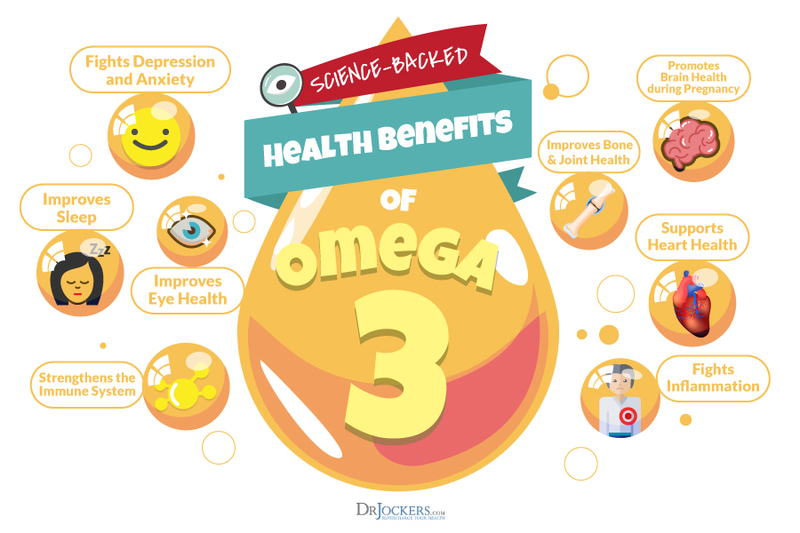 Supplementing with a high-quality fish oil can be helpful as well. As we briefly discussed already, mitochondrial function is super important to stabilize inflammation and coordinate the immune system. When it comes to optimizing mitochondrial function, there are two strategies to focus on: protecting from oxidative stress and boosting energy output. To protect mitochondria from being damaged from chronic inflammation, it is important to consume plenty of antioxidant-rich foods. Some of my favorite sources of powerful antioxidants include organic berries, turmeric, and Italian herbs like oregano, thyme, and rosemary. Boosting mitochondria can also be done through specific advanced supplementation. Some of the best nutrients for this include l-carnitine, Co Q10, and N-Acetyl-Cysteine. As I alluded to before, issues in the gut are extremely common in autoimmune conditions. 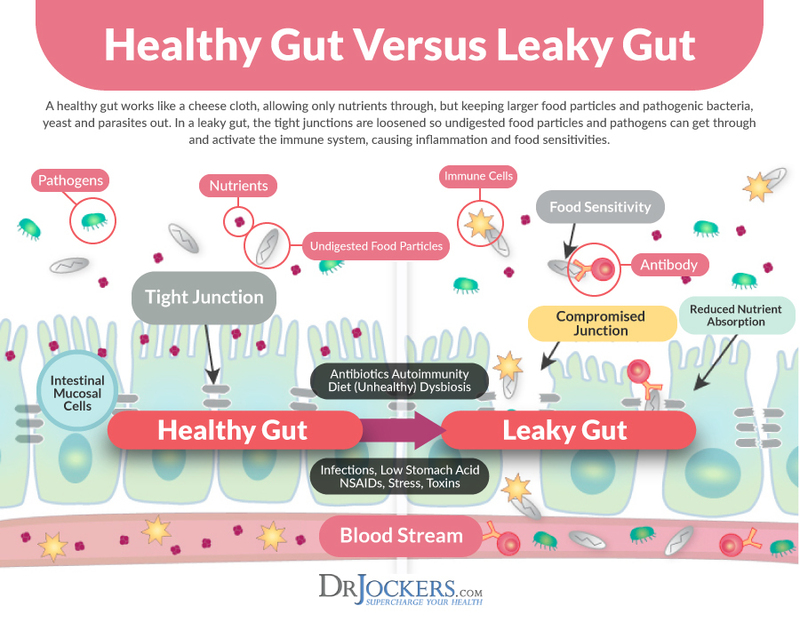 In order to fully address the gut, we must focus on the three areas we discussed earlier in this article: Leaky Gut, Microbiome, and Poor Digestion. To address leaky gut, we must reduce inflammation in the gut while also building up the mucosal barrier. Next, we must increase the biodiversity of our microbiome to saturate it with beneficial microbes and control the overgrowth of unwanted microbes. 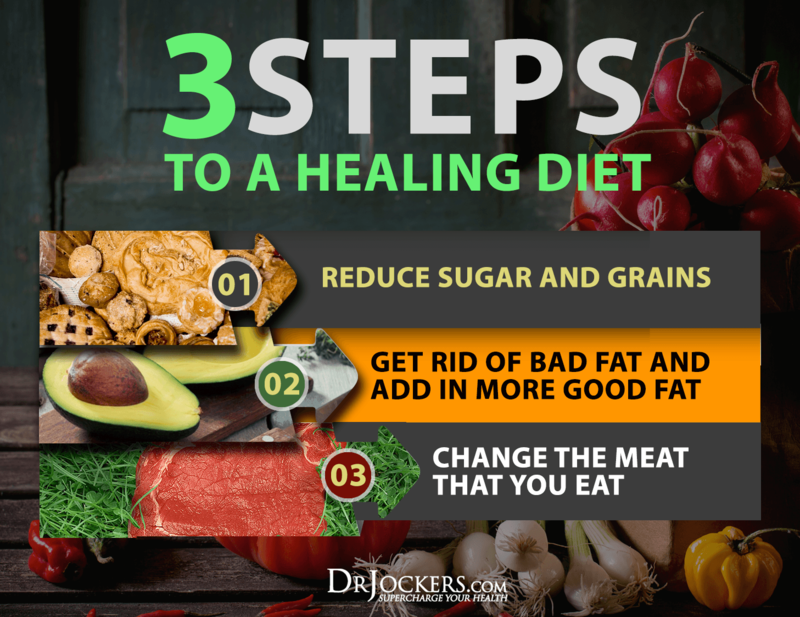 Finally, maximizing digestion is imperative to the first two objectives while also ensuring we are able to extract maximum nutrition from the food we eat. To learn how to achieve all three of these objectives, read on in this article here. In general, you will want to consume a healing diet, reduce food sensitivities, consume fermented foods, use a high-quality probiotic, and make sure you are not dealing with low stomach acid. Additionally, if you notice that you encounter a lot of gas and bloating when consuming vegetables, you may consider using an enzyme supplement to assist breaking down these foods for a short amount of time. Food allergies are outright, often life-threatening, reactions to certain foods. 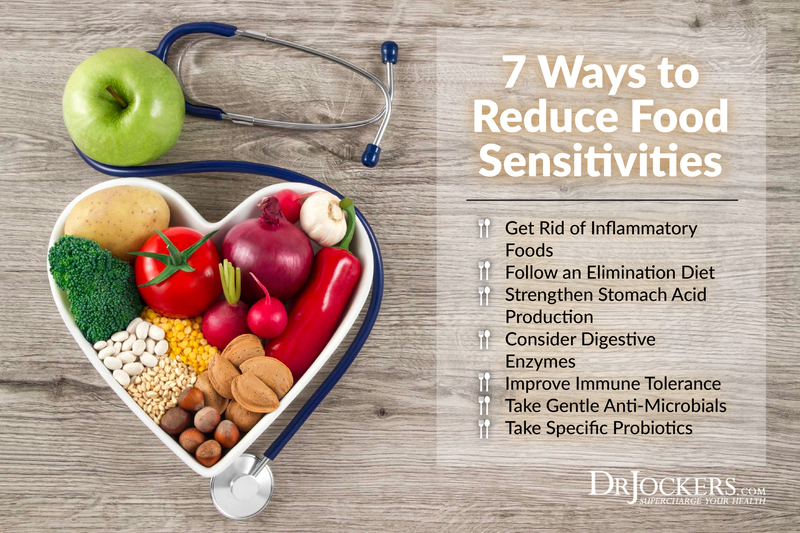 Food sensitivities, however, result in low-grade inflammation that damages the gut and increases autoimmune conditions. Common foods that cause these kinds of reactions are wheat, sugars, most grains, pasteurized dairy, eggs, and processed vegetable oils. Everyone seems to be different when it comes to food sensitivities in that they react to unique foods. For example, I have encountered people who have sensitivities to avocados or even fish who eat these foods on a regular basis without knowing it. You can determine your own sensitivities either by following an elimination diet or using advanced lab testing. This is an important step for quelling inflammation in the body and getting the immune system re-coordinated. Toxins have all kinds of unwanted effects on the body. From a very fundamental level it helps to know that toxins increase inflammation, which the one of the primary contributory factors in autoimmunity. Instilling everyday detoxification practices can be extremely powerful. These things improve your daily ability to eliminate toxins we encounter every day, I would recommend using a variety of these strategies be used on a daily basis for maximum benefit. 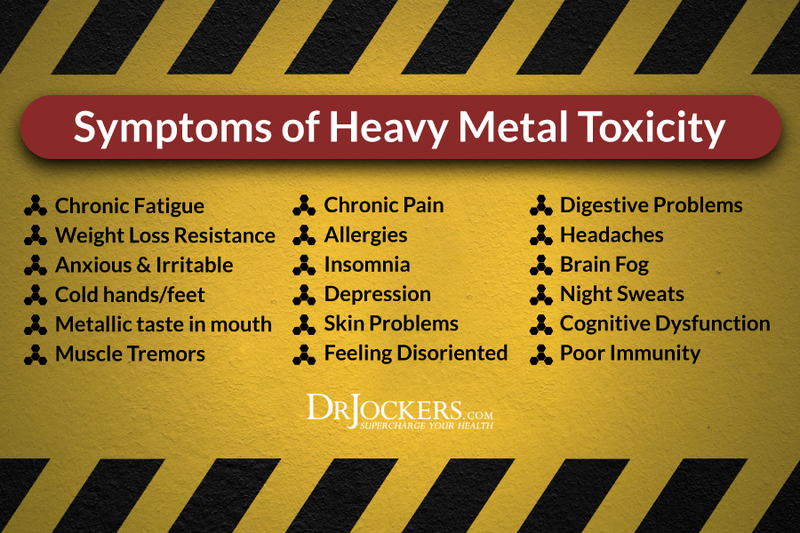 As I briefly discussed earlier in the article, heavy metals and other toxins have the capacity to collect in the body and interfere with several processes. Not only can they increase inflammation and conditions for autoimmunity, but they may even interfere with the brain’s communication with hormonal processes such as thyroid hormone production. Once stored in certain tissues, it can be difficult to remove without a much more targeted strategy. It can be helpful to perform lab work that specifically looks at heavy metals in the body. For this, I recommend a heavy metal urine challenge test. You can read more about this test here: Heavy Metal Testing and you can read about how detox from heavy metals here: How to Detox Heavy Metals. Increased stress and poor sleep increase stress hormone secretion, drive up inflammation, and weaken the immune system. Getting adequate sleep is imperative to placing the body in a healing state once and for all by helping to reduce inflammation and allowing the immune system to operate a full capacity. The spinal column surrounds and protects the spinal cord and nervous system. When the top of the spine is out of alignment, it causes sympathetic dominance and alters our immune function and can contribute to chronic inflammation and autoimmunity. Specific chiropractic care to reduce stress and tension on the upper cervical spine (upper neck) improves our parasympthatic tone and balances the autonomic nervous system. This improves immune modulation and reduces inflammation and autoimmunity. Seek out a good chiropractor in your area and have them check your spinal bones in your neck for proper motion and alignment and get appropriate treatment if it is needed. A relatively un-talked about aspect of reducing inflammation and increasing your ability to overcome autoimmune conditions is reducing your exposure to artificial electromagnetic frequencies (EMFs). As esoteric as it may sound, humans actually are electric beings. Our bodies rely upon electrical messages transmitted within our brain and throughout the entire body in order to function properly. That being said, electromagnetic fields from manmade electronics (particularly Wi-Fi routers and cell phones) can interfere with that process. In fact, these fields have the capacity to interfere with energy production at a mitochondrial level. Poor functioning mitochondria is a massive cause for chronic inflammation as well. Here are my best tips for reducing EMF exposure. After my Multiple Sclerosis diagnosis 2 years ago, i stopped all the Multiple sclerosis medicines prescribed due to severe side effects, and decided to go on natural herbal approach. My primary care provider introduced me to Rich Herbs Foundation and i immediately started on their Multiple Sclerosis herbal formula treatment, this herbal treatment has made a tremendous difference for me. My symptoms including shaking, muscle weakness, fatigue, mood swings, numbness, double vision and urinary retention all disappeared after the 4 months treatment! Their web site is ww w. richherbsfoundation. com. Its just amazing! can u all help me for hyperthyroidism disorder. Yes Rose, please be sure to read the article and follow all the recommendations! Be Blessed! I really appreciate the article you have put in here. Some amazing facts. Just have a question on my health situation, I have got Thyroid in sub-clinical form. All other blood tests are coming fine. I do have acid-reflux. What i have noticed since last 4-5 months or so is that i am getting a lot of bloating issues and its getting worst everyday. I am now at a point where evenif i drink a plain water, it sort of aggravates my bloating. This means i am uncomfortable eating and drinking. I initially thought it would be a matter of some food elimination and i have tried that with no success so basically any food generates a lot of Gas and eventually bloating. What would you recommend? I am not on thyroxine medicine or anything as my GP said it is still in subclinical form and i dont need any medications yet. I tend to get low blood pressure, acid reflux and extreme – these 3 are my issues. Would you recommend this only enzyme supplement or some more ideas? Sorry to hear this! I would be sure to work with your functional health practitioner on a customized plan based around your health history and lab testing. Blessings! I watched another one of your videos to use Pulse Oximeter for Food Allergy test. If i want to confirm if i have Gluten Allergy could i test it using say Bread under my tongue and use Pulse Oximeter to confirm that i am Gluten Allergetic? The CD blood test is coming out as a negative but i am hoping some test will confirm whats going on with my Body. I have excessive bloating and gas symptoms. Yes you can do this to see if you get a stress response. If you know you are getting gas and bloating when consuming it than that is also an indication you are sensitive to it.